Remember when foods were entertaining and fun as well as delicious? SHAKE A PUDDIN’: Royal offered this activity/treat in the 70’s. Just put the powder in the shaker cup, add milk, shake, and in minutes you would have a creamy treat in vanilla, chocolate or banana. 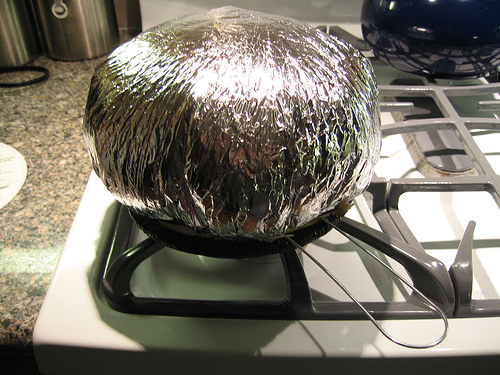 JIFFY POP POPCORN: This product is more fun to make than it is to eat. Its inception goes back to 1958…before I was even born. I can’t say that about many things anymore. Oh the fun of watching the foil cap expand to a big dome full of salty popcorn. I still buy Jiffy Pop Popcorn from time to time just for the fun factor. 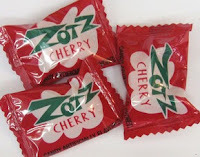 ZOTZ: I recently saw Zots at a local candy store. The hard candy with the fizzy sour center must still be popular. POP ROCKS: Pop Rocks is perhaps the most fun of all candies. General Foods scientist William Mitchell developed this product in 1956, but it wasn’t introduced to the public until 1975. It became an instant success, which is enjoyed still today. These amazing little gems are tiny air pockets of carbonation (CO2) that are released when melted in your mouth making a mild "crackling" sensation and "popping" noise. Of course you HAVE to open your mouth so the noise gets louder. The original flavors were Orange, Cherry and Grape. A few years back, I found chocolate covered Pop Rocks that were meant to be used as an ice cream topping. How fun is that? 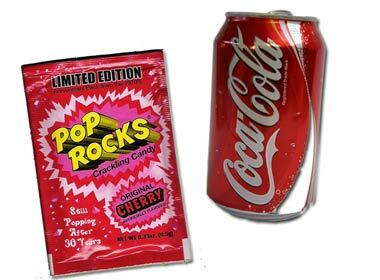 Do you remember the urban legend that if you ate Pop Rocks while drinking Coke, your stomach would explode causing immediate death? CRACKER JACKS: Carmel coated popcorn and peanuts in the familiar red, white, and blue box with a sailor on the front and a prize inside. 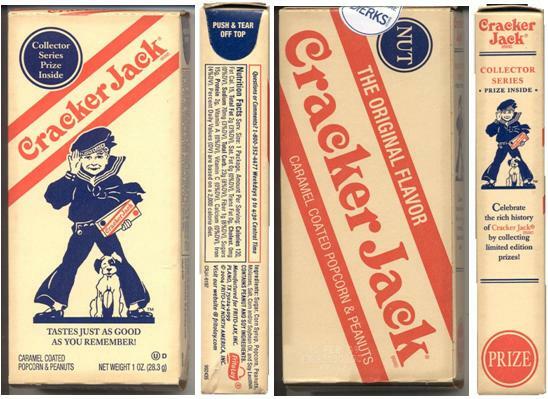 I remember my Grandpa Benson bringing us Cracker Jacks when he would visit. Back in the 60s and 70s, the prizes were actual little toys (now collectors’ fodder). Alas, today’s boxes contain stickers or temporary tattoos. Suddenly, I’m hungry. I’m off to the store now. Remember, sometimes it is alright to play with your food. That sure brings back memories...lol....especially the Shake-a-pudd'n. I'm always disappointed when I buy Cracker Jacks now. And yes, I used to love to watch Jiffy Pop pop on the stove. It was very bland to eat though. Highly buttered microwave popcorn was huge improvement. OMG we missed out on so much here in England!! love it.. thanks for bringing back those memories!! 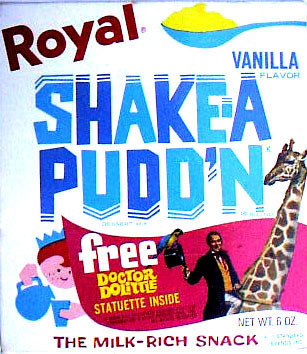 I had completely forgotten about the "shakey puddin"
I remember those fun foods . Do the kids have any fun stuff today? YEp, remember them all. I loved pop rocks and coke in my mouth, that was the coolest feeling. Of course I would not let my boys try that today, LOL. Hi! Thanks for stopping by my blog. Please feel free to leave a comment. I read every message and appreciate that you took the time to say hello.